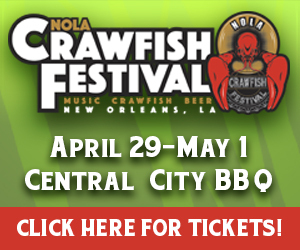 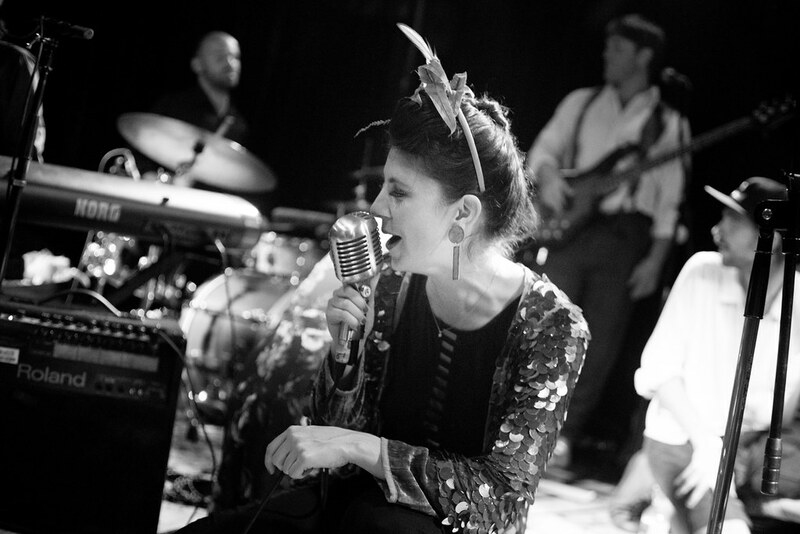 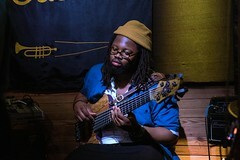 There’s a reason we refer to this time of the year as ‘Jazz Fest Season.’ It comes with the implication that what goes on during this magical season goes well beyond what is seen, heard or tasted on the Fairgrounds in the morning and afternoon. This city doesn’t stop, it has one of the liveliest nightlives in the country, and it tends to explode when the big fest rolls around. The local scene comes out in splendor, and is graced with distinguished guests from all over. 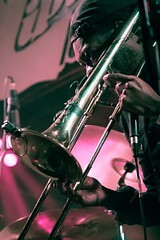 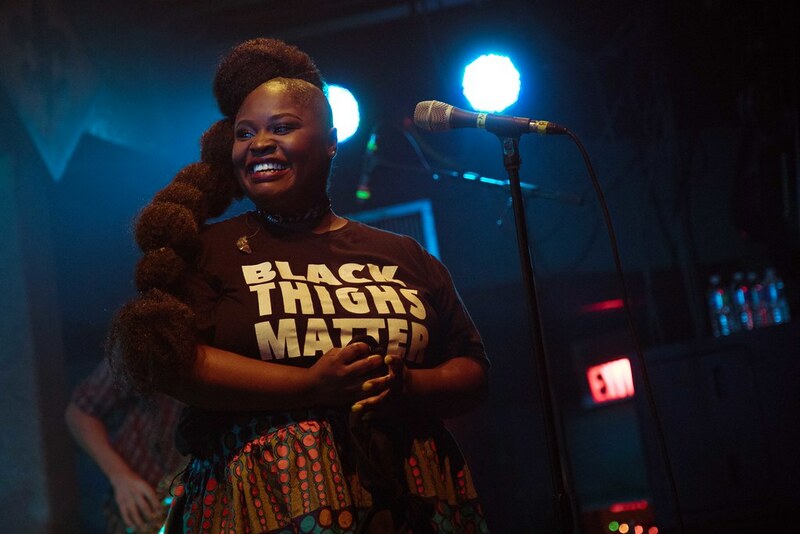 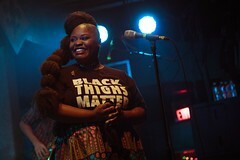 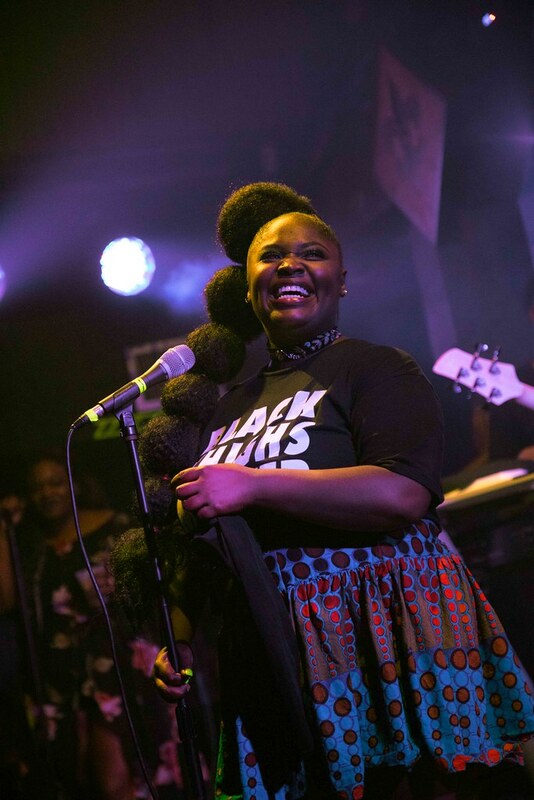 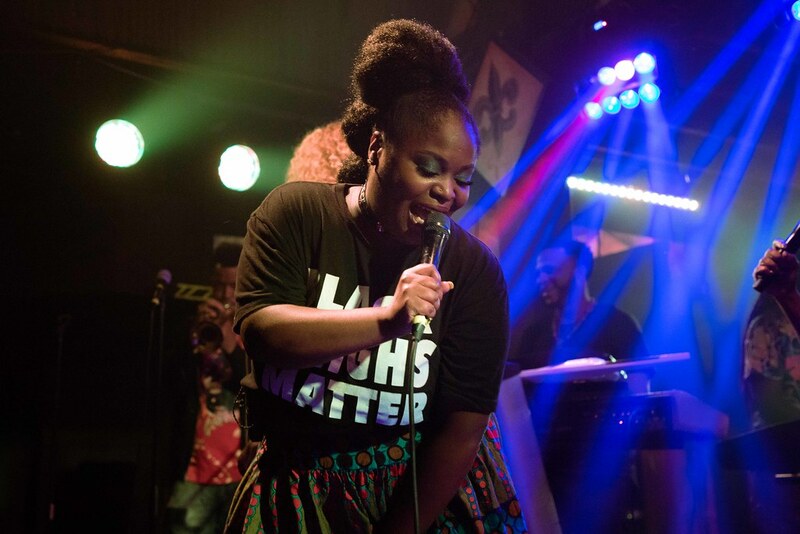 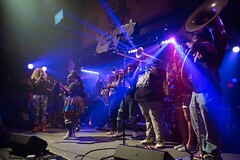 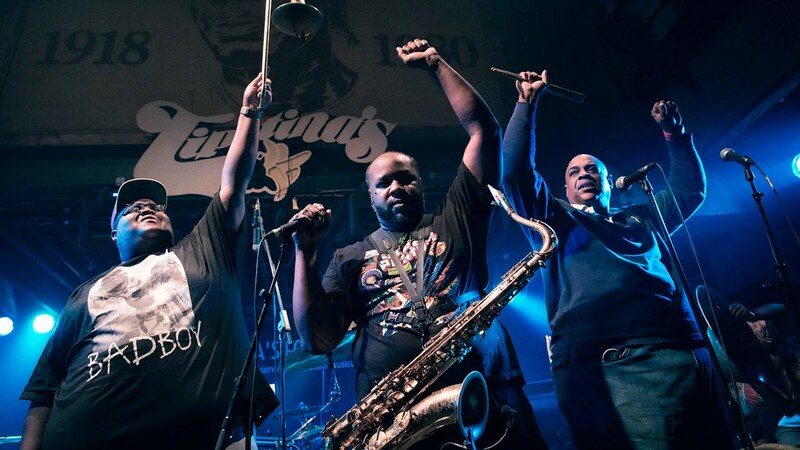 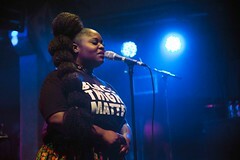 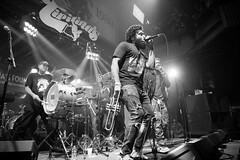 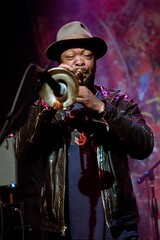 Once the Soul Rebels concluded their set with an explosive rendition of Kendrick Lamar’s ‘Alright,’ there was no turning back. 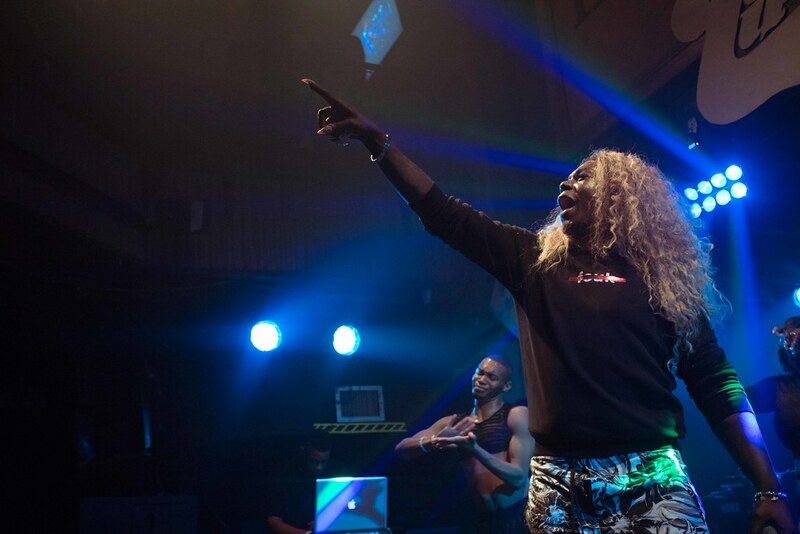 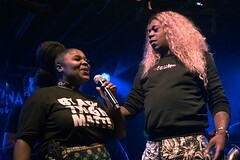 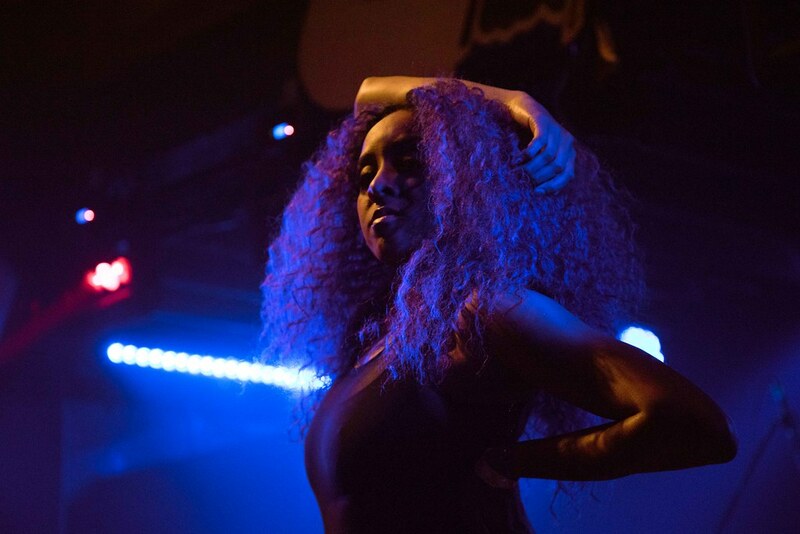 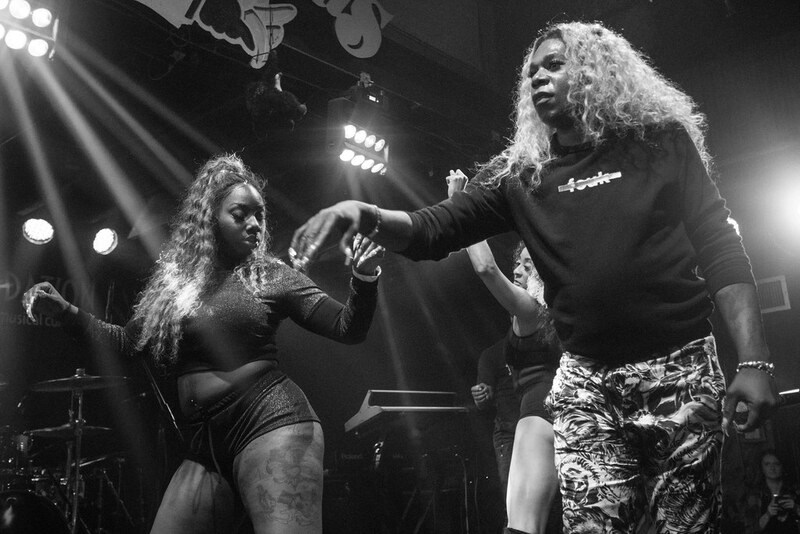 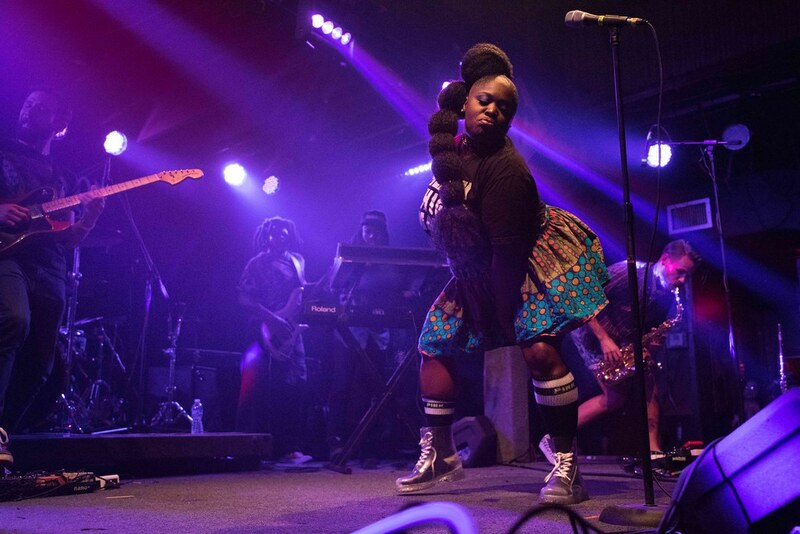 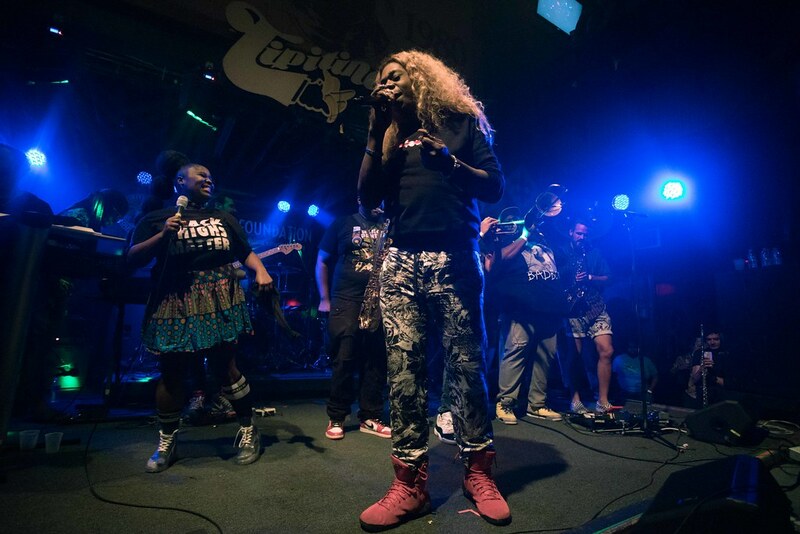 Intensity levels were only going to go up with Big Freedia and her crew of dancers, solidifying bounce as a prime New Orleans artform. What a brilliant job the people of Three Keys at the Ace Hotel have done putting together a cosmic schedule for their “Six of Saturn” concert series during the Fest. 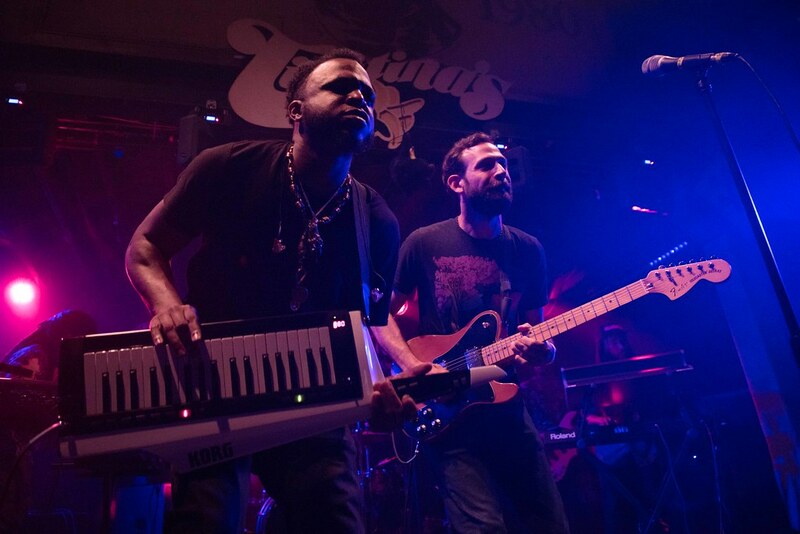 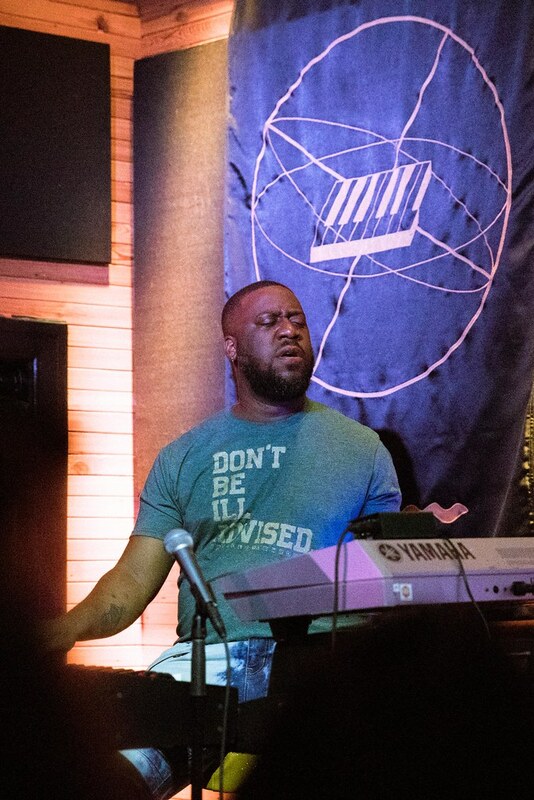 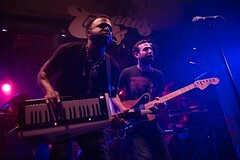 Saturday night, it was the genius of keyboardist Robert Glasper that was on full display there. 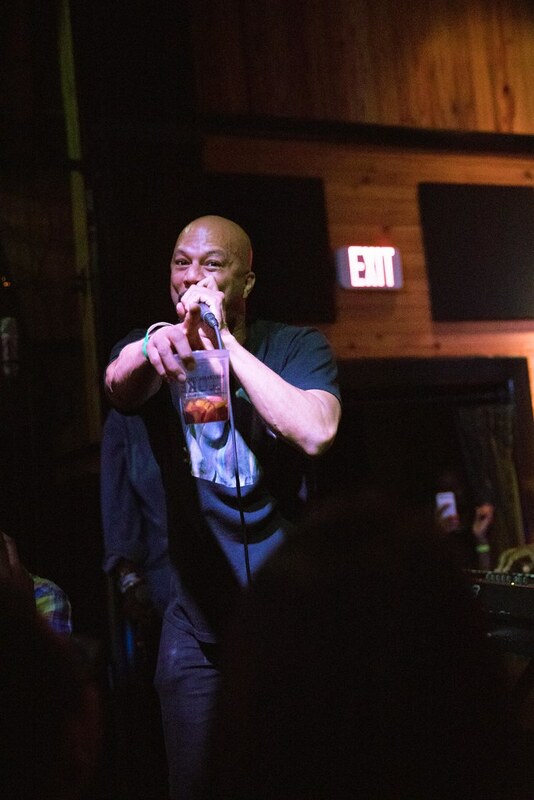 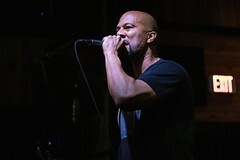 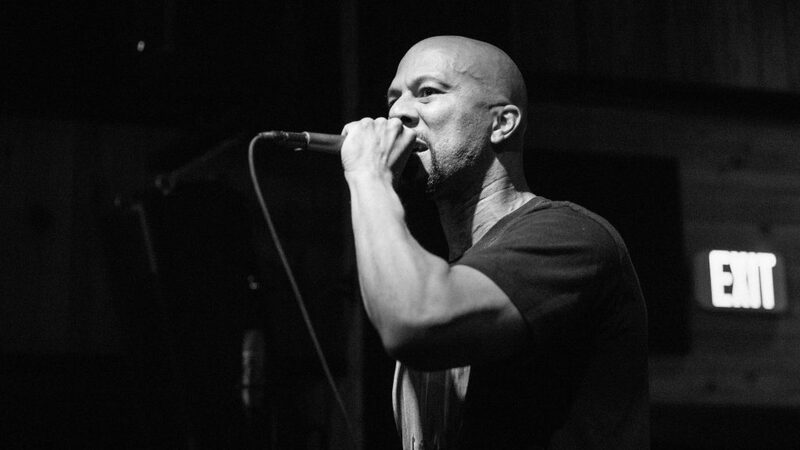 … and before you know it, rapper Common who was coming off a concert at the Fest’s Congo Square, took the stage, commending attention with hours of freestyling and classic choruses of his. 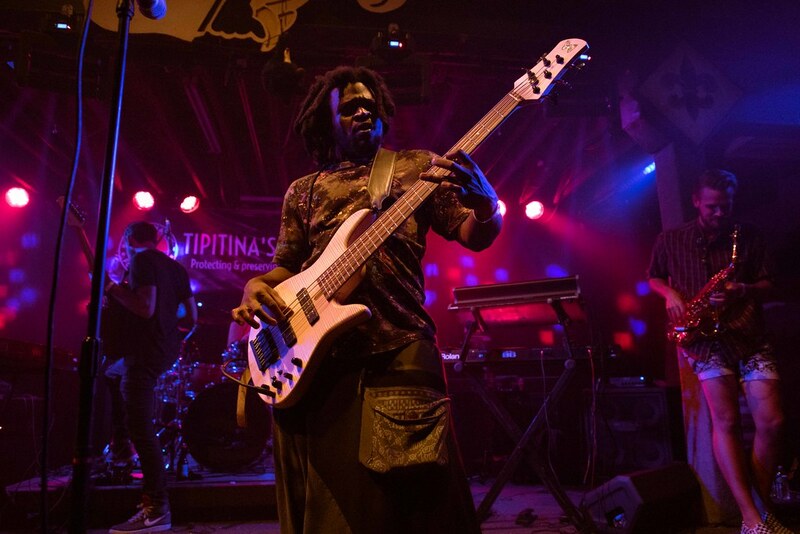 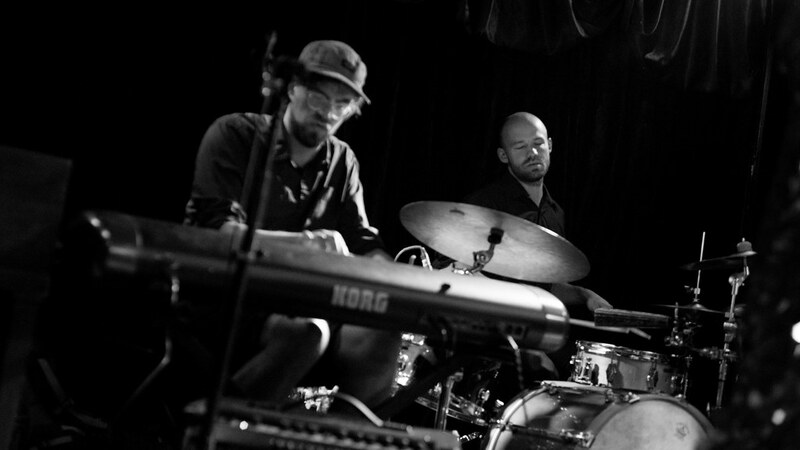 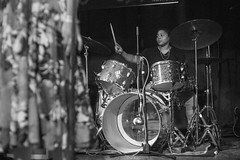 …talk about a backup band for Common… Joining Glasper was the world-class drummer Chris ‘Daddy’ Dave as well as the kickass Burniss Travis on bass. 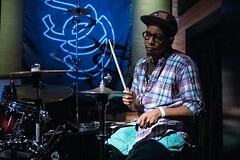 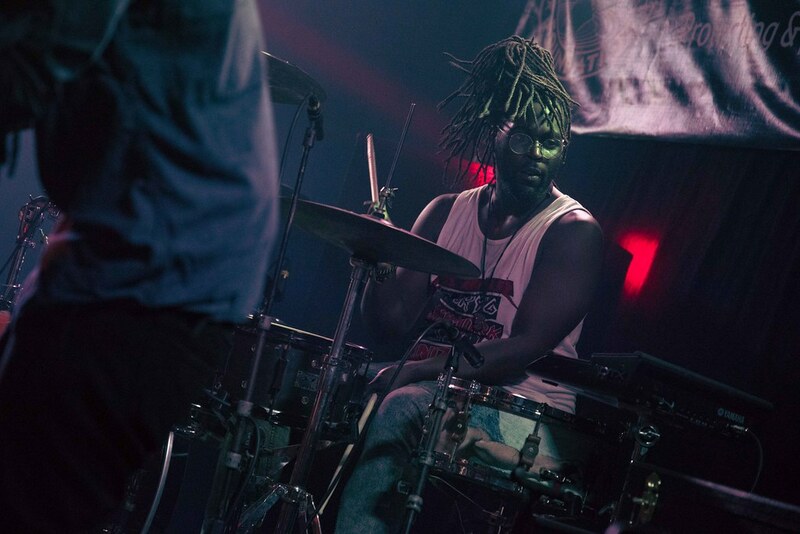 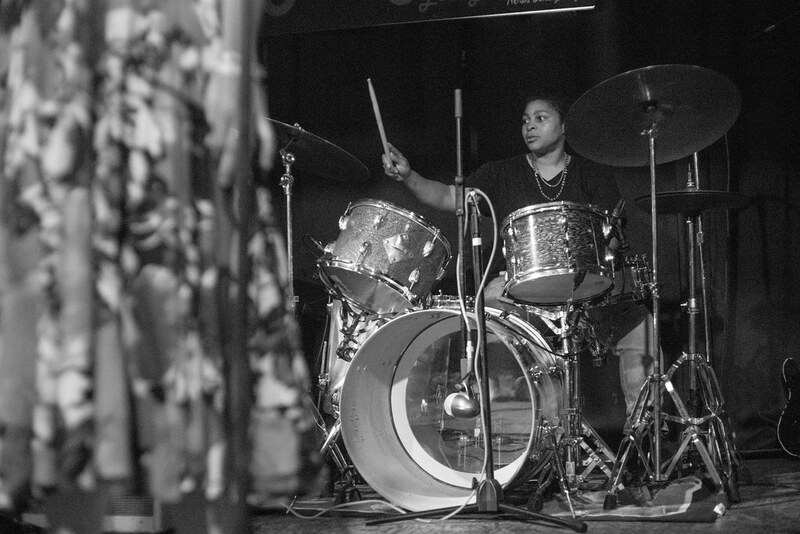 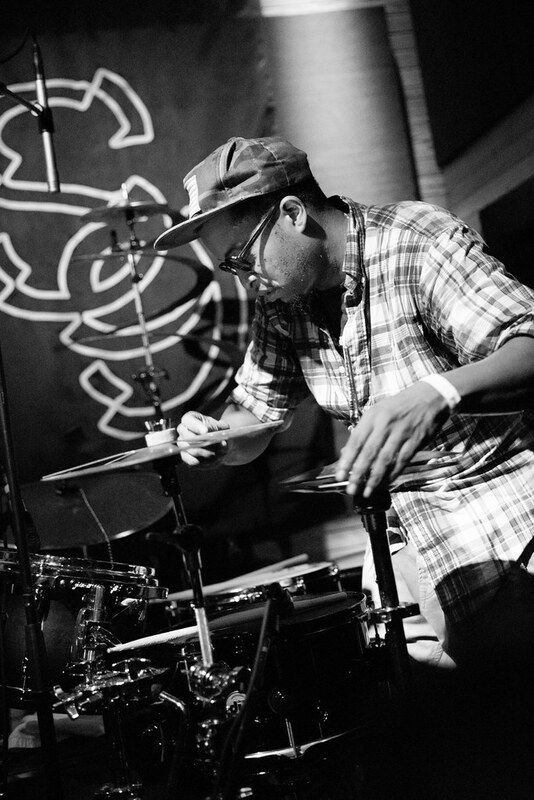 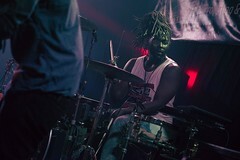 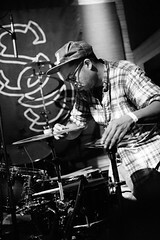 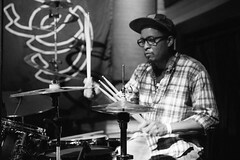 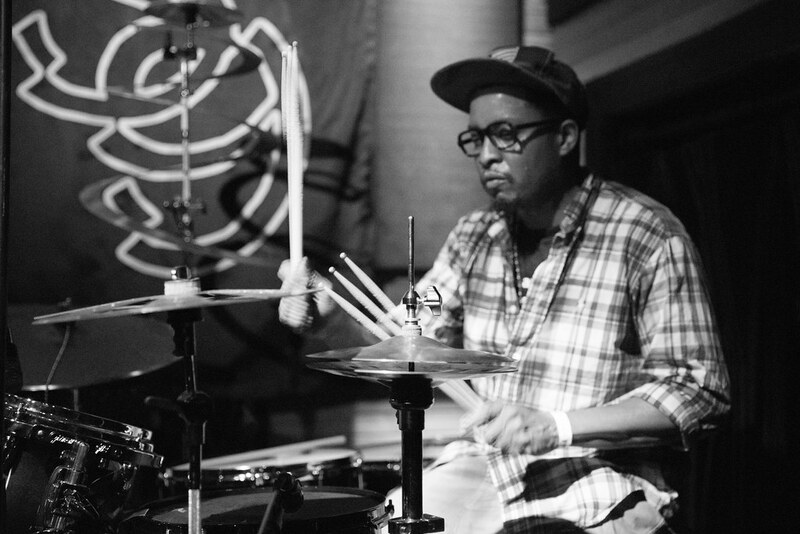 Pictured here is Chris Dave beating the snare and camera’s shutter speed at the same time. Spending all day in the sun at the fest grounds and all night chasing late shows will have you see things differently. 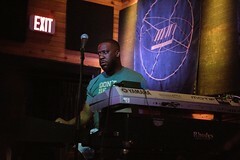 Here the set up of DJ Jahi Sundance who travels with Glasper and brought the classic beats to Three Keys. 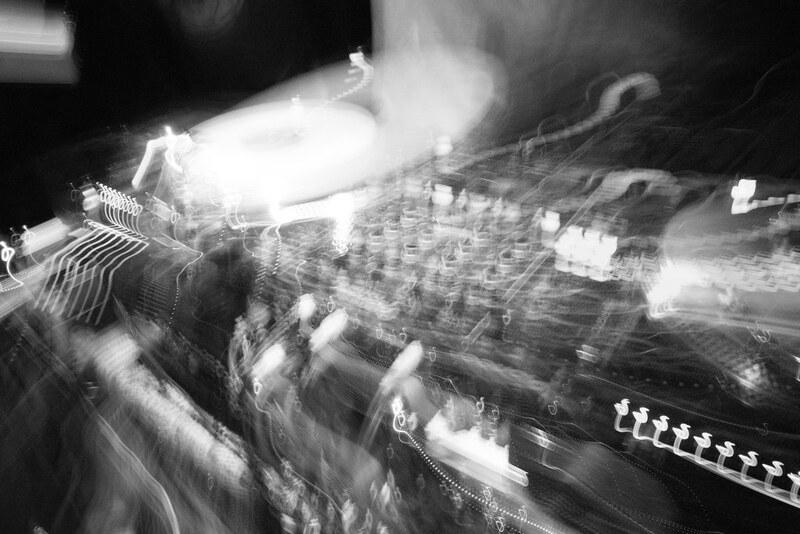 Late night means late night. 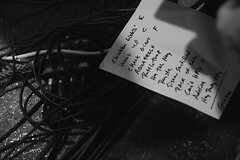 This show at One Eyed Jacks on Monday night didn’t take off until 3am. 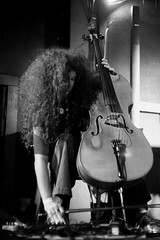 The peculiar MonoNeon didn’t seem to mind one bit. 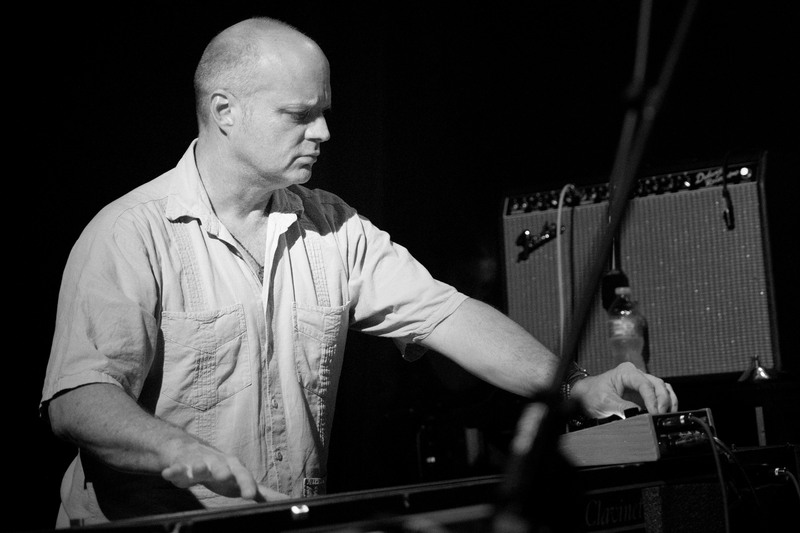 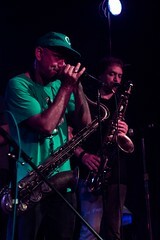 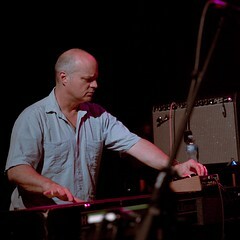 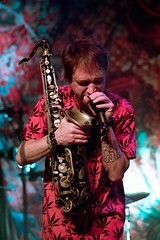 …neither did John Medeski. 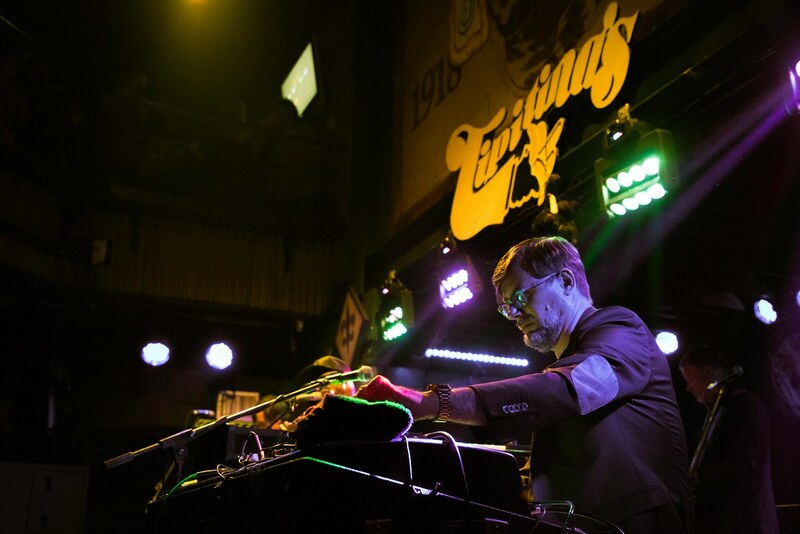 The grand master of organ weirdness squared off with the funky Robert Walter for this double-organed, heavy funk late set. 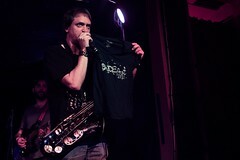 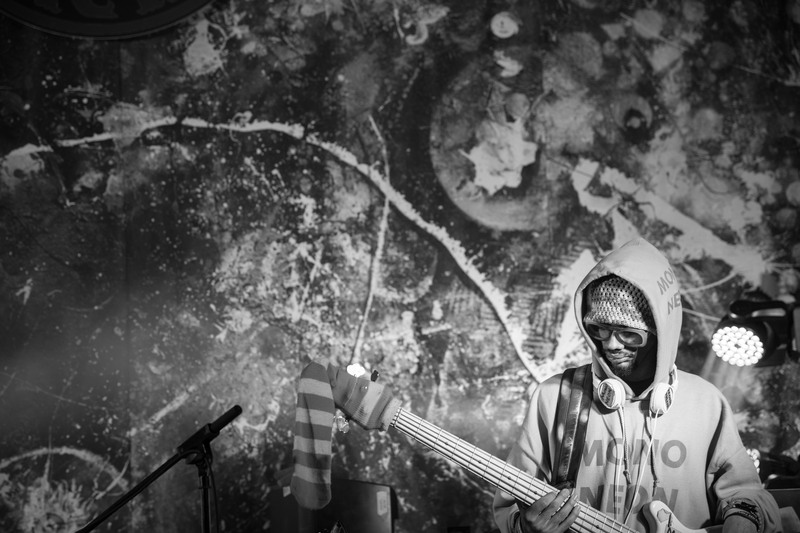 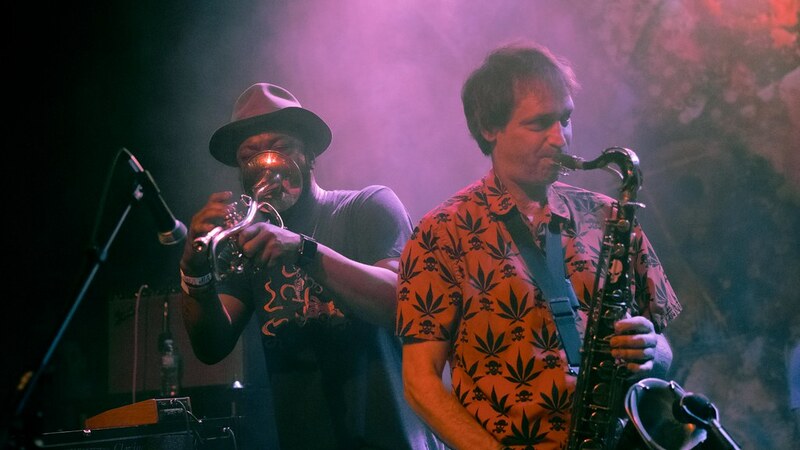 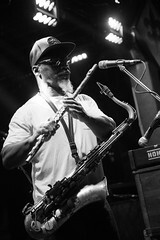 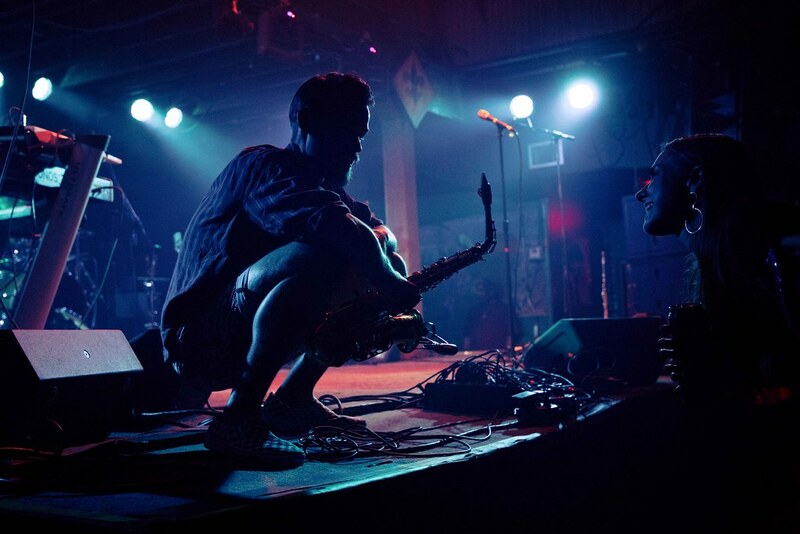 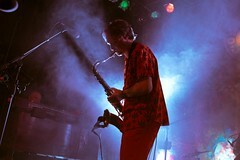 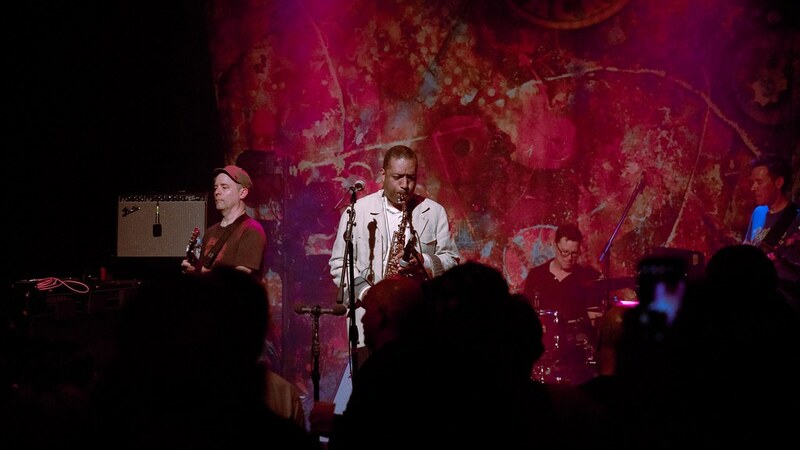 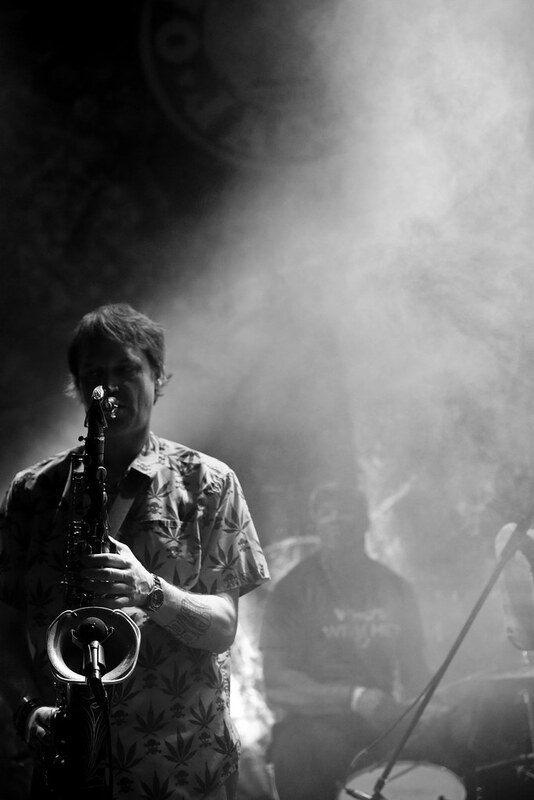 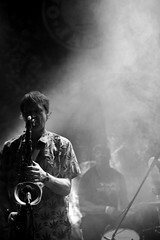 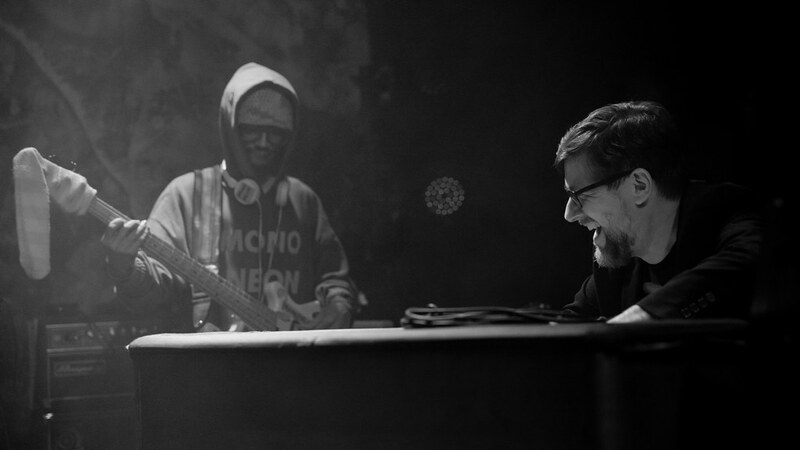 …but the weirdness was magnified by magical night creature and perfect blend of crazy and funky, saxophonist Skerik, with all his electronically thwarted vocals and sax grooves. Following Skerik down the path of oddities, I landed at his SauceFest event on Thursday night, where he gathered a monstrous community of musicians to create music that entirely improvised, hectic and beautiful sounds from the guts of New Orleans’ experimental scene. 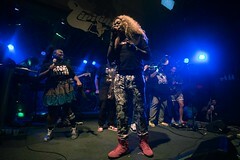 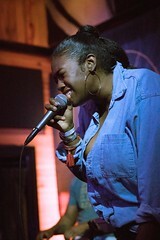 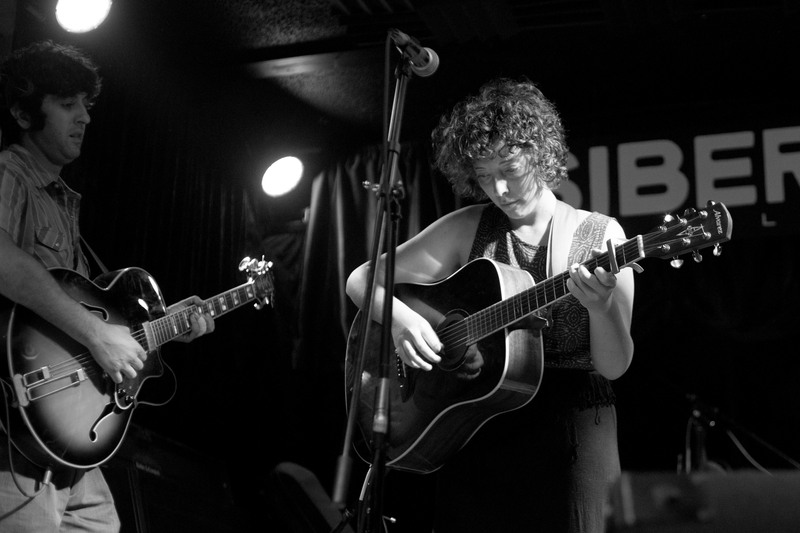 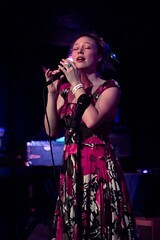 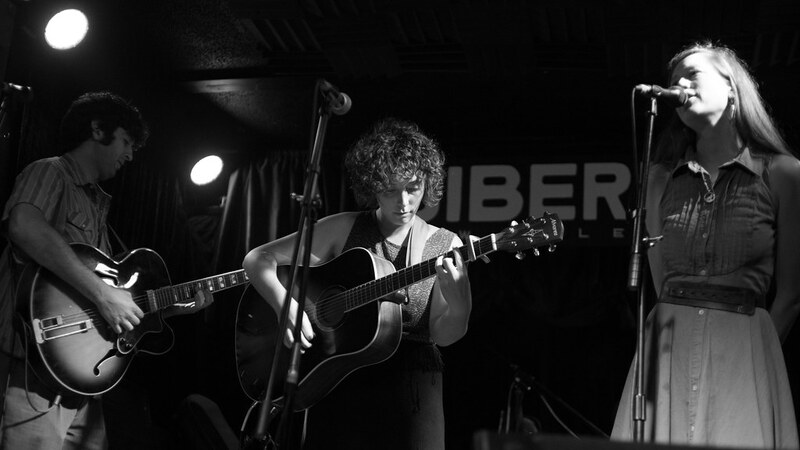 Speaking of local scene, a much different side of it — yet just as brilliant — showed up at Siberia on the second Saturday. 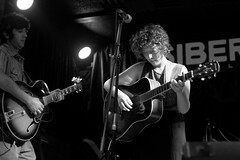 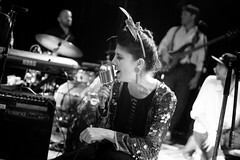 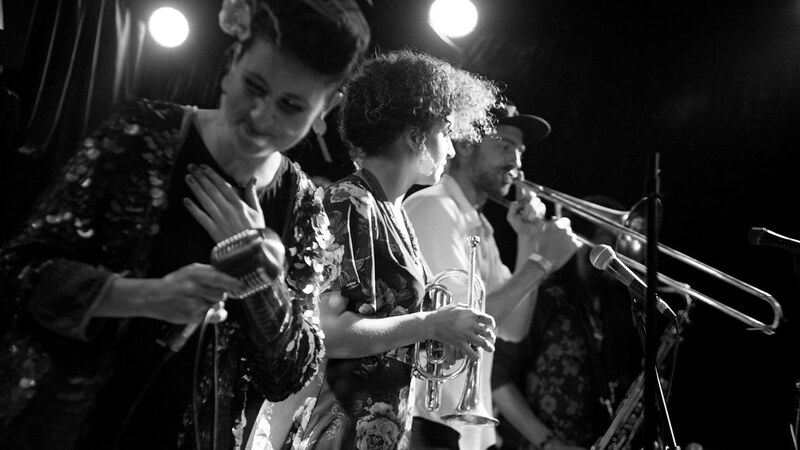 The night kicked off with the gentle folk sounds of the Tumbling Wheels. 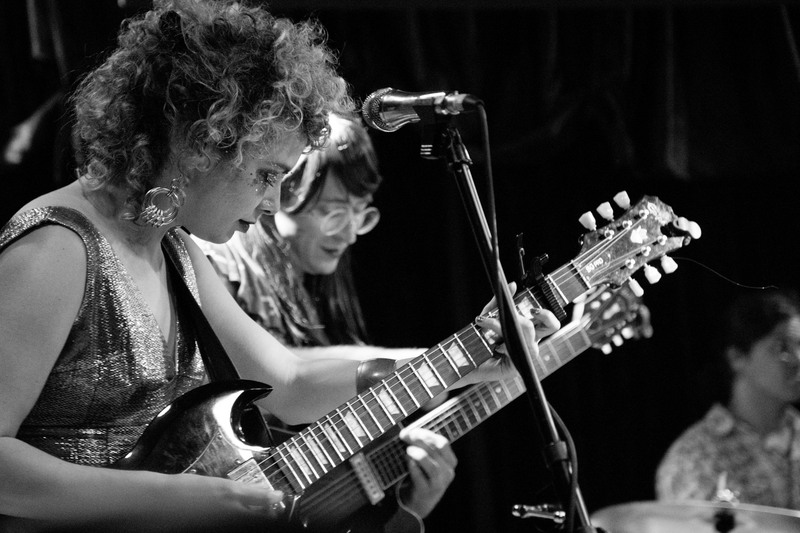 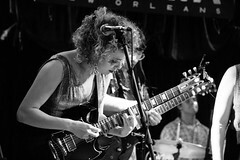 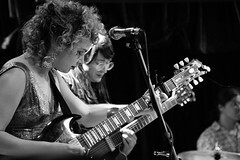 At the forefront of this young local scene, Tasche De La Rocha’s Psychedelic Roses, bringing their ever-growing sound. 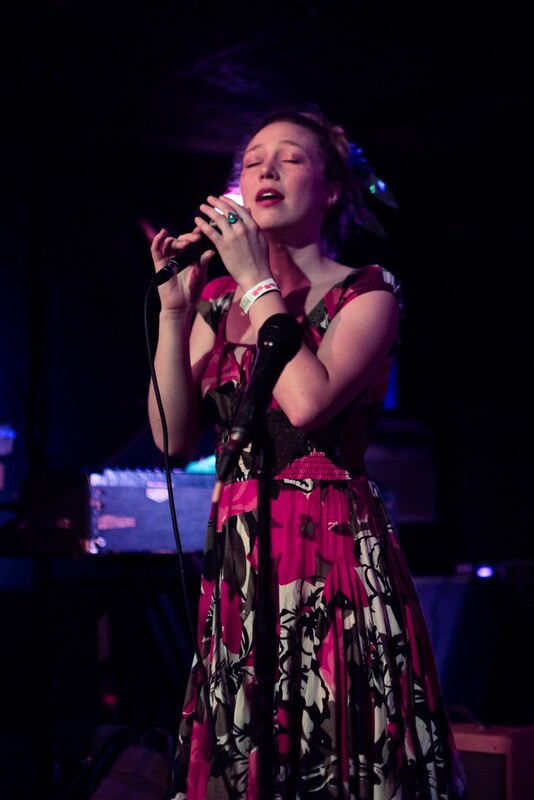 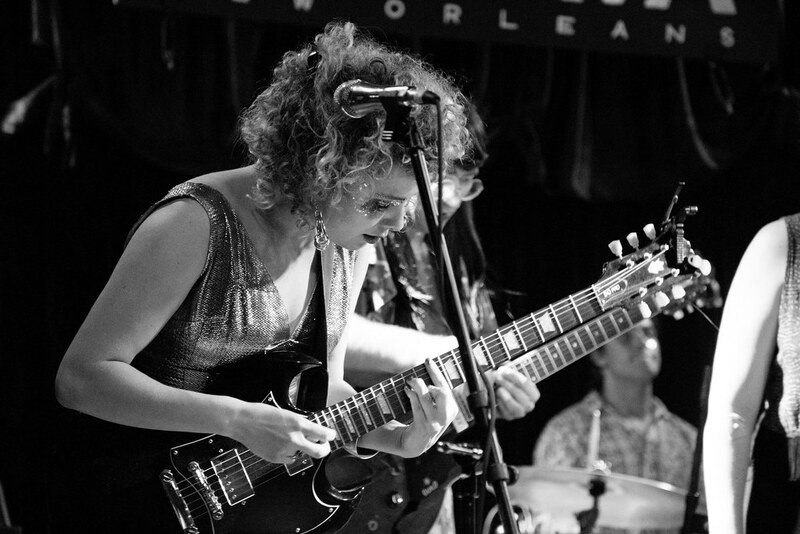 Capping it off was a mix of catchy and soulful originals from another young and eager band led by vocalist Maggie Belle, who just had their fest debut at the Lagniappe Stage. 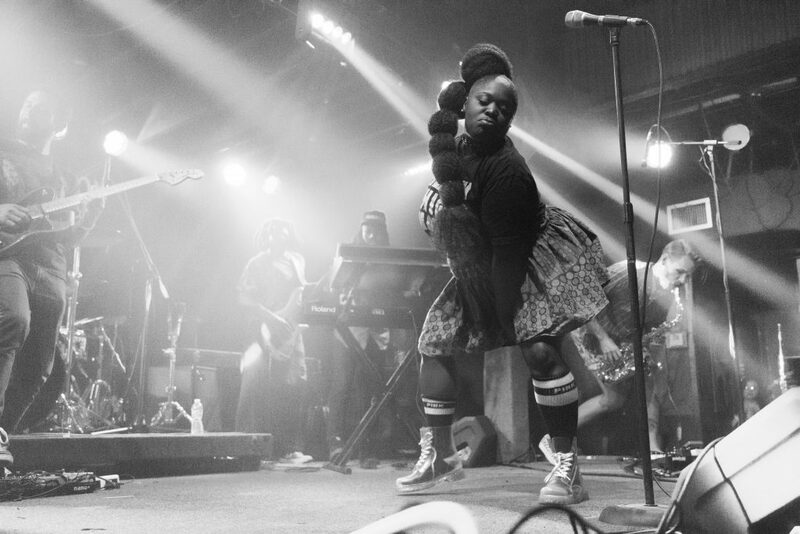 …And we have come full circle. 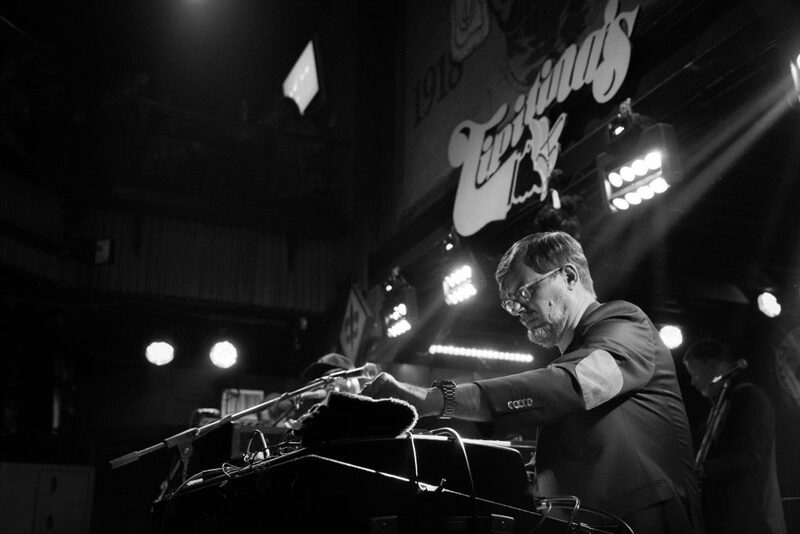 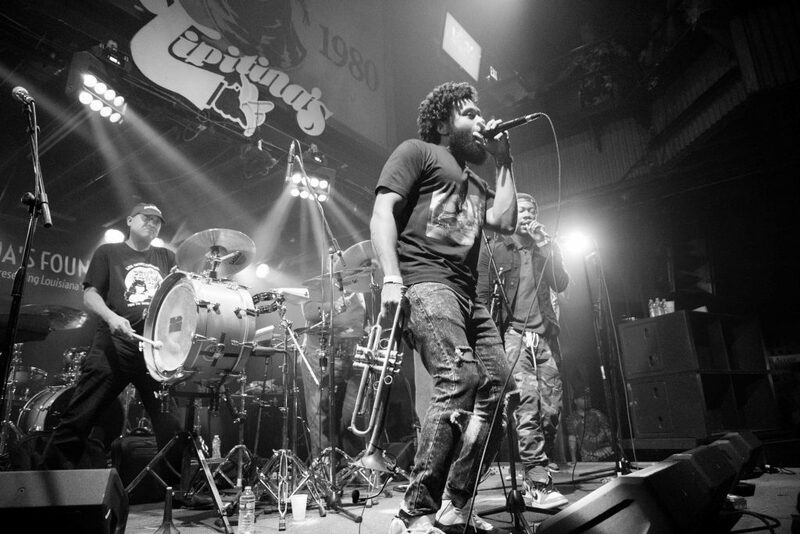 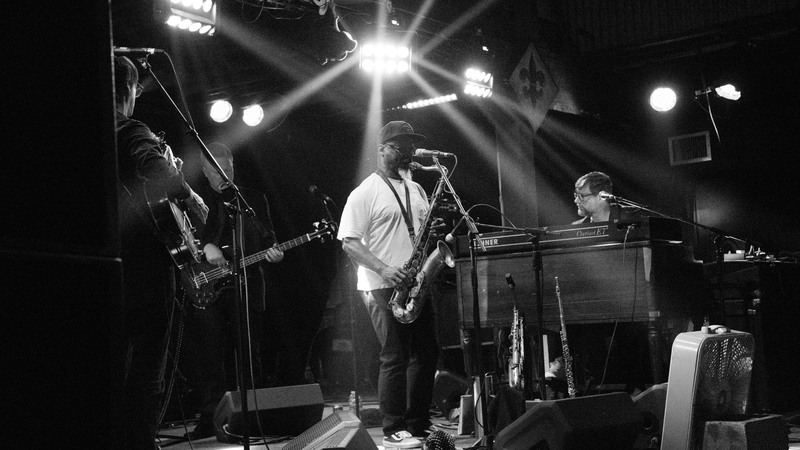 From the first Saturday to the wee hours of the second Sunday’s morning, back at Tipitina’s where the raging Greyboy Allstars performed. 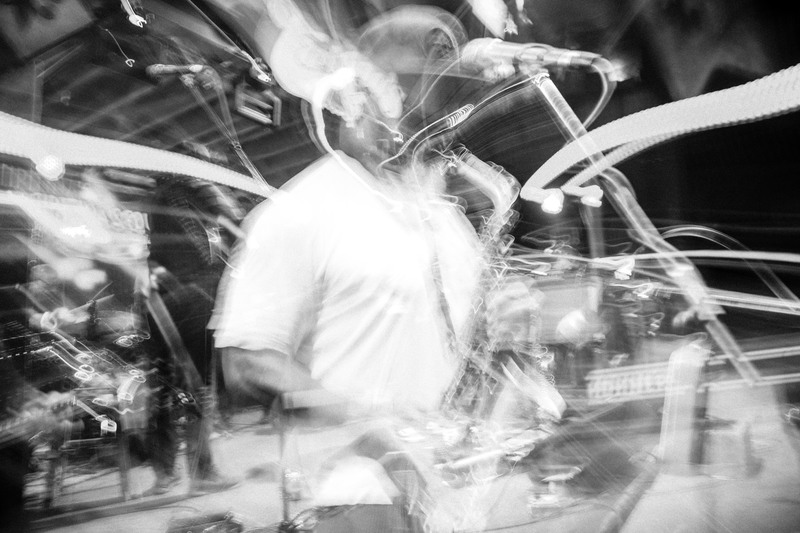 Once again, the exhaustion that goes with all the jazz fest running around tends to show in the visuals. … and we meet again. Robert Walter, towering over his spaceship made of organs, keyboards and synthesizers, funky and singular as ever.